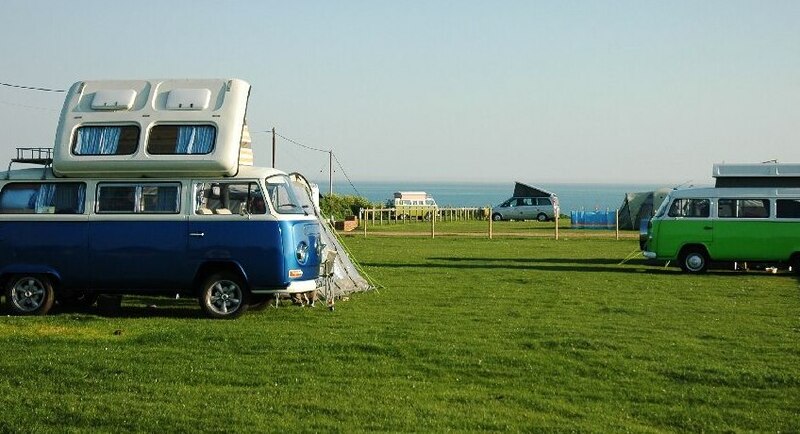 With fantastic scenery and a range of pitch types this campsite has something for everyone. Surrounded by coastal and farmland views you're in the ideal position for family trips to the beach and walks into the nearby village of Brighstone. Situated along the beautiful southern coastline of the Isle of Wight, Grange Farm Brighstone Bay is blessed with amazing views and sunsets. The farm can offer a range of self catering accommodation from camping pods, pitches, static caravans and barn conversions. With easy access to their sandy beach, friendly animals including alpacas, pigs, goats and a donkey, it is an ideal site for families also the area is perfect for cyclists, walkers or people who love fishing and fossil hunting. 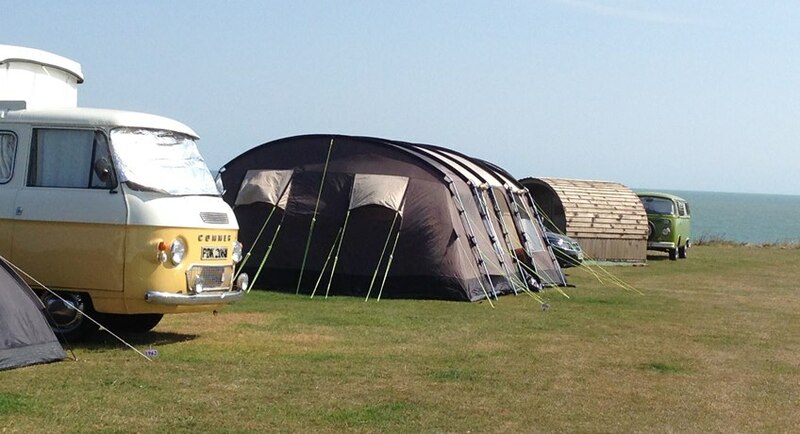 Grange Farm offers a variety of pitches for tents, motorhomes and touring vans. Most pitches are on grass, some with electric hook up. Whilst hardstanding and fully serviced pitches are also on offer. All pitches are level and well- drained, and cars can be parked alongside tents and caravans. 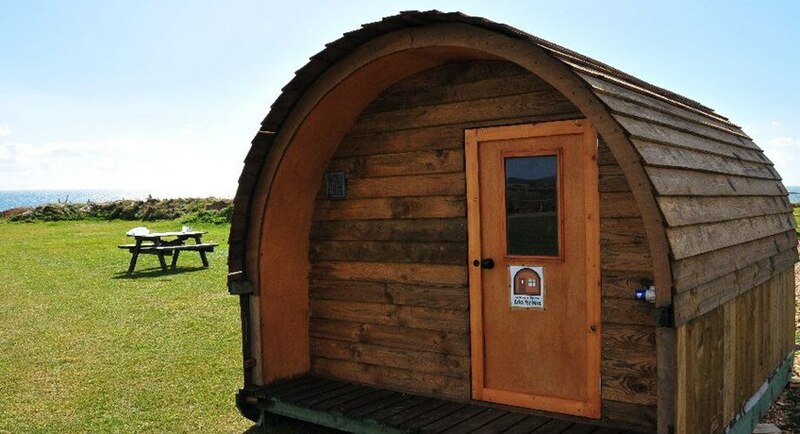 Hand built on the farm, you can now hire a small lockable camping pod with some having electricity. These are an empty shell to be used as if you were bringing your own tent, therefore all camping equiment must be brought along. Shower block comprising of three showers, shaver points, wash basins, toilets and coin operated bath. On-site launderette with coin operated washing machines, tumble dryers, spin dryers and ironing facilities. Dishwashing sinks and free hot water. Please note the maximum length for campervans/ motorhomes and touring caravans is upto 7m in length. Toilets, showers, seperate wash cubicles. Dogs are accepted at an additional cost of £2 per night, and bookable directly with Grange Farm. Awning are charged at an additional cost of £2 per night and bookable direct with Grange Farm. Pup tents are charged at an additional cost of £4.50 per night and bookable direct with Grange Farm. A £10 key security deposit is required for camping pods only - to be paid directly to Grange Farm, details recieved after booking. The maximum length for a campervan/ motorhome or touring caravan is upto 7m. With a car/ tent/ caravan/ motorhome up to 6m. With a car/ tent/ caravan/ motorhome over 6m. Small lockable units hand built on the farm. some pods have electricity, however most are just an empty shell to be used as if you were bringing your own tent, therefore all camping equipment must be brought along. 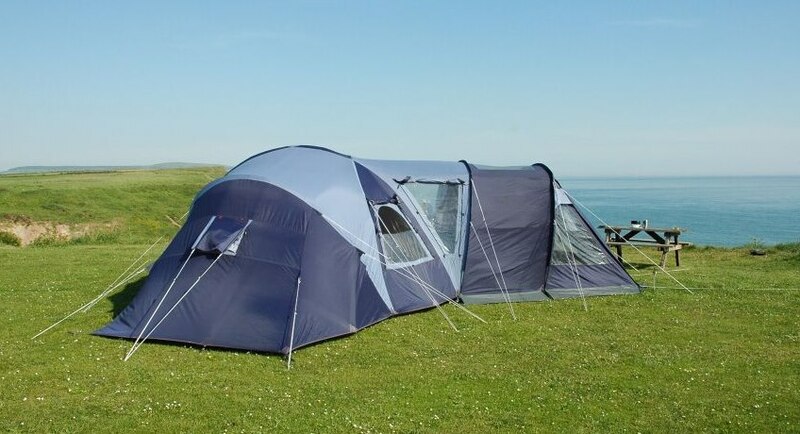 With a car/ tent/ caravan/ motorhome up to 6m in marked out area. Includes free electric hook-up supply 240v. With a car/ tent/ caravan/ motorhome over 6m in marked out area. Includes free electric hook-up supply 240v, water and waste pitch. With a car/ tent/ caravan/ motorhome over 6m in marked out area. Includes free electric hook-up supply 240v.